When there are only a handful of days left before general elections, we make our “Double down” feature available on contribution forms, which allows donors to move up the ladder of engagement by doubling their contribution. 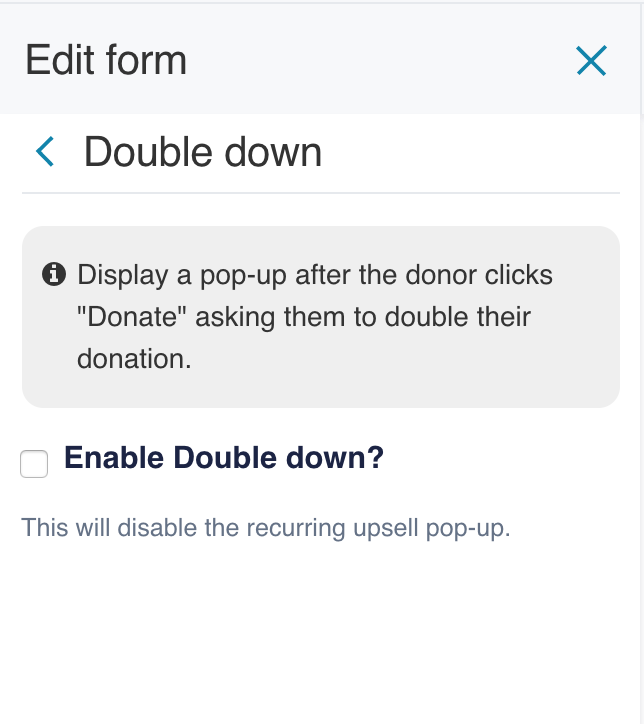 Our “Double down” feature shows donors a pop-up asking them to double their contribution after they click “Donate” on a form. 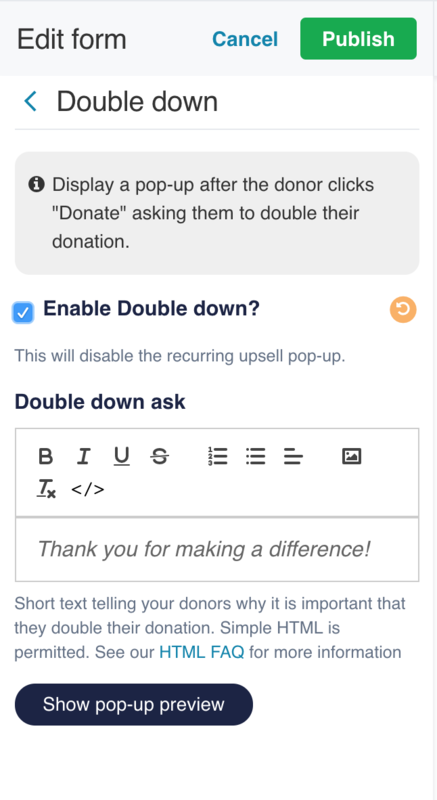 With “Double down” you can encourage donors to consider giving more during crucial moments with minimal additional work! 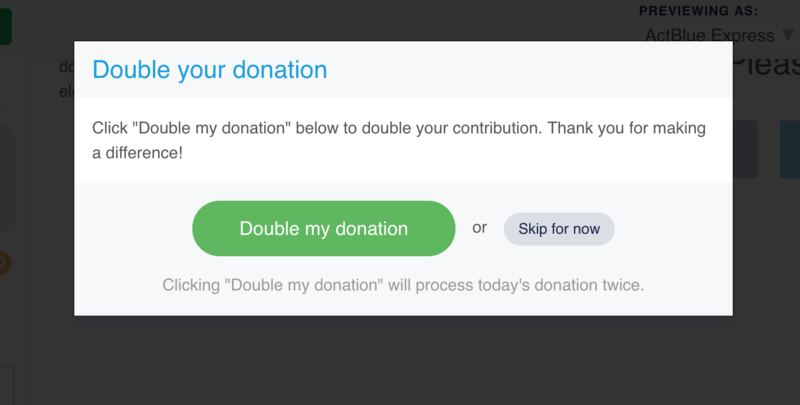 Go to your form editor to turn on “Double down” for a contribution form. First click on the “Enable Double down?” checkbox. Note that turning on “Double down” will disable any pop-up recurring ask that you may have had on your form. Then customize the pop-up’s message in the “Double down ask” section. 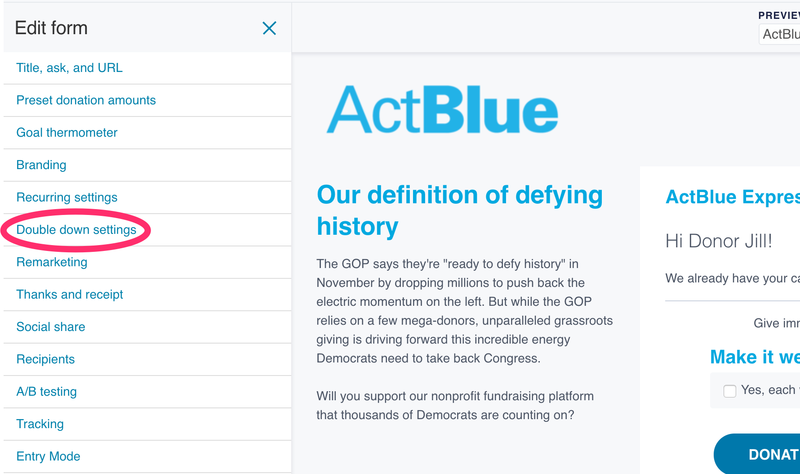 This is where you can emphasize the urgency of the current moment and explain how a doubled donation will be used by your campaign or organization. Remember to click “Publish” at the top of the form editor to save your changes!